Outdoor Landscape with retaining walls and artificial grass putting green. - Curb Design Inc.
A great shot of an outdoor living space or landscape with a golf turf. 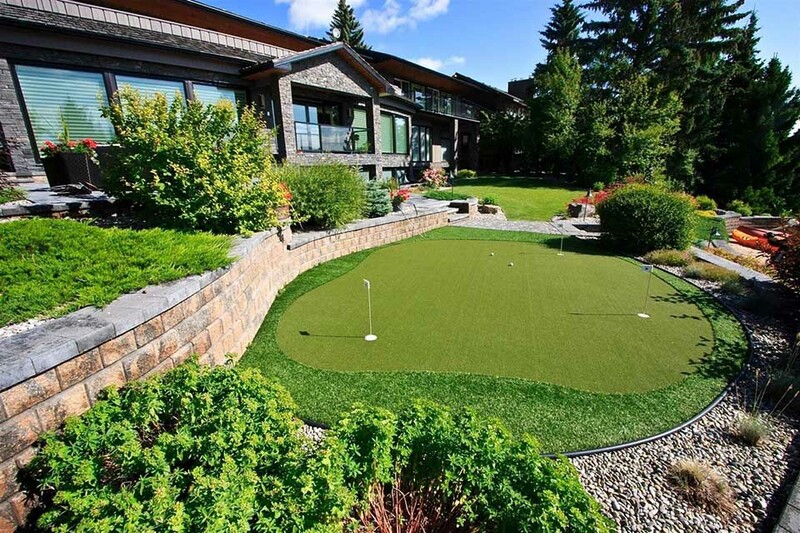 Artificial grass was used to create the putting green. Raining walls located on the sides of the image. Golf balls and golf flags are installed within or on the putting green. Big trees and shrubs in the front and far back-end of the image.